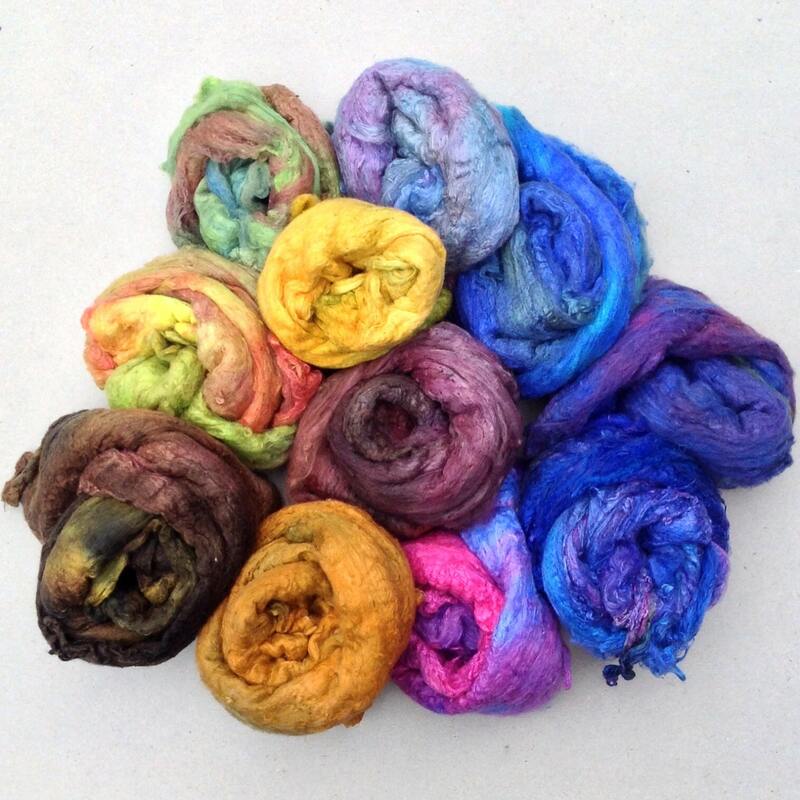 100g (3.5oz) of mixed Silk Laps - our pick and mix selection. The picture is only representative of the selection you will receive and the contents may include a different variety of colours. We will, however, always endeavour to pick the most gorgeous selection we can from our comprehensive range of dyed fibres. The laps are also suitable for spinning into yarn, needefelting, silk paper making, mixed media techniques, embroidery and scrapbooking. The photograph is representational only and the piece you receive may vary slightly because of different dyelots.